Stranger Things was one of the undeniable pop culture highlights of 2016, and though the holidays are almost over, these three new posters can still help you celebrate. They’re from Dark Ink Art and Acme Archives, and are all on sale now at this link. As glimpsed above, this is called “Run” by Amanda Cook. It’s a 13 x 19 inch giclée in a run of 200. Next is this piece by Barry Blankenship, a 24 x 36 lithograph. And finally, this 13 x 19 inch giclée. 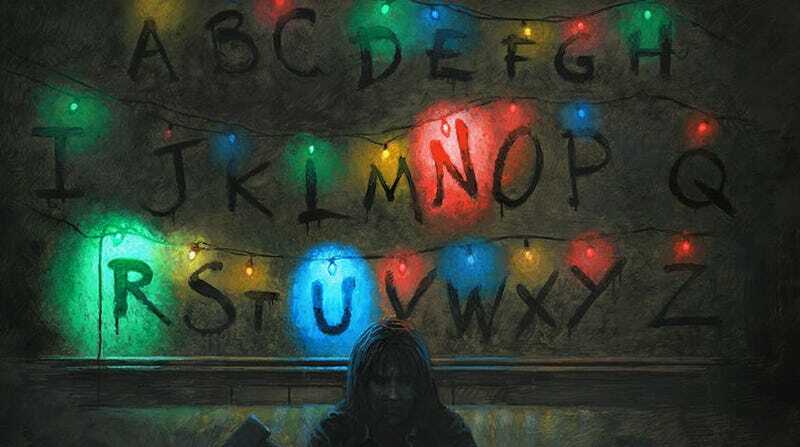 I really love the Amanda Cool piece, because even if you haven’t seen the show, that image of the lights and alphabet is so damn pleasing.